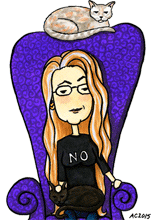 After drawing yesterday’s bookmark, I decided to draw a big version of the same image. 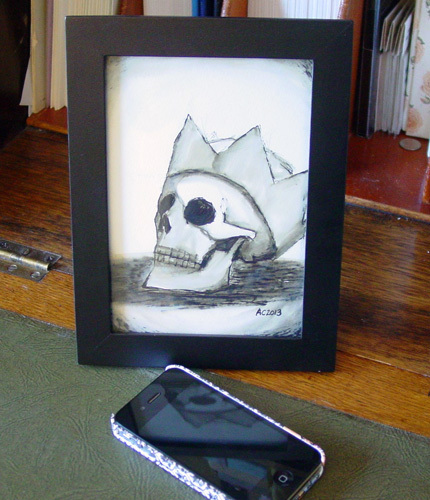 I actually have a Halloween model skull on my bookshelf, wearing the paper crown out of a Christmas cracker, so he’s been the inspiration and model. His name is Sherrinford, because of reasons. Personally, I think he would appeal to fans of Game of Thrones, given how everyone dies while George RR Martin drinks your tears. 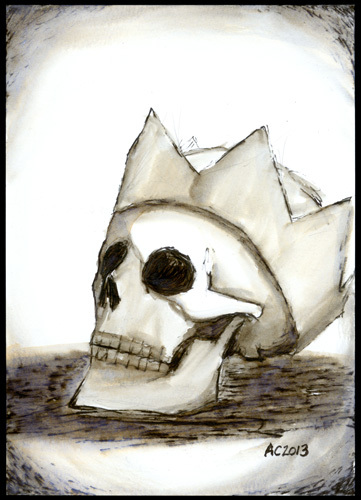 Crowned Skull, 5″x7″ pencil, pen & ink and water brush on paper. 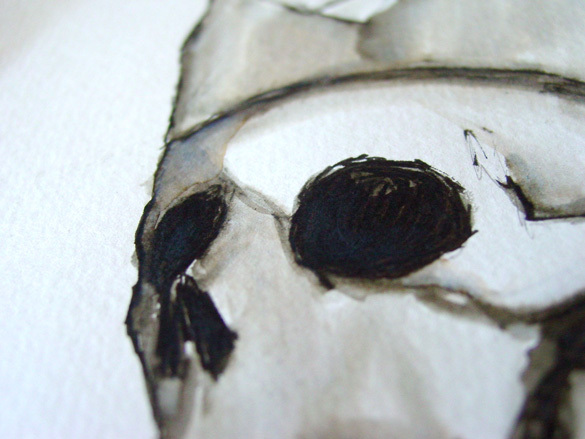 Above, you can see the way the black ink separates into greys, blues and browns when I use the water brush to create shading. Below, you can see him in a frame, looking regal and tragic with my iPhone for moral support. Well, and size reference.